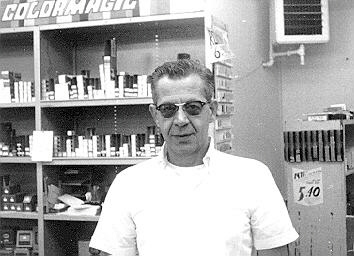 Ham Buerger, Inc. was started by Howard Buerger and was located on Cheltenham Avenue in Philadelphia. It was officially incorporated on January 30, 1965 with 2500 shares of stock issued. 1250 shares to Howard Buerger and 1250 shares to his wife, Marjorie. The store was located on Rices Mill Road just North of it's intersection with Glenside Avenue. The following picture shows the store as it appeared on Rices Mill road. It was a long narrow store with a row of tables and shelves to the left. Mostly used equipment was display on the shelves. Equipment that was sold on consignment or as the result of trades. To the right were shelves of used equipment, the counter and displays of new equipment to the rear. Note the large amount of used equipment offered for sale. In the days before hamfests this was on of the few public ways to sell equipment. The Rices Mill road store soon became too small. 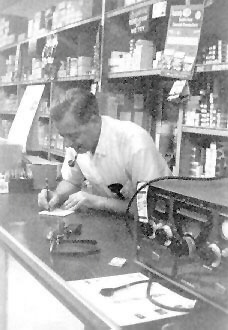 Howard Buerger had started an Electronic Equipment Distribution business in addition to the Amateur business and a larger store was needed. 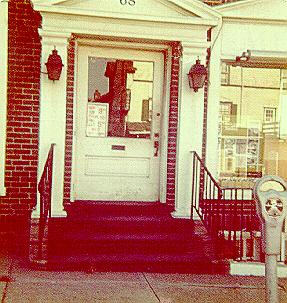 The store moved in 1967 to Greenwood Avenue in Jenkintown. This was a wharehouse size store and the Howard Buerger Company had offices there in addition to the Ham Buerger, Inc. amateur retail business. collies outside of the Greenwood Ave. Store. 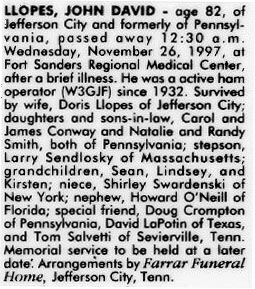 The stay at the Greenwood Avenue address lasted only a few years as Howard and Marjorie divorced and she took the Howard Buerger business. This left Ham Buerger, Inc. with an enormous store and high rent. A new site was sought and found at the old Sears building on York road in Jenkintown. This was about two blocks north of the Greenwood Avenue location. Shortly after moving to this location Howard Buerger, his health failing and stressed over his divorce had a falling out with John Llopes. 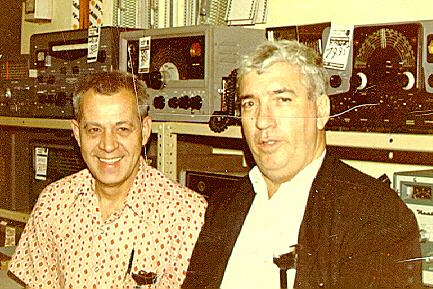 John then left Ham Buerger and went for a short time with Preston Funk of Hamtronics. They opened a store in Willow Grove on York Road. This lasted only about 6 months. 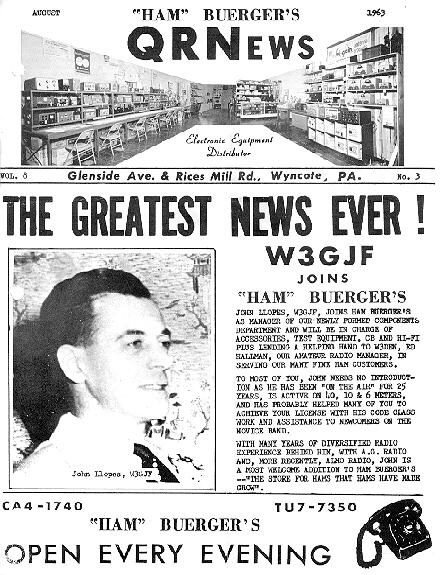 John finally was able to make a deal with Howard Buerger and he bought Ham Buerger Inc. moving the store to the same Willow Grove location that Hamtronics had occupied for a short time. The store later moved about a half block South on York road. 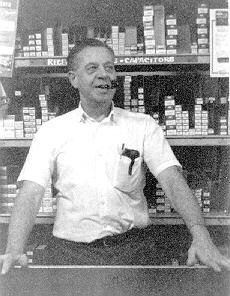 John ran the store there until about 1975 when he sold the store to Bob Hershman, WA3ZID. 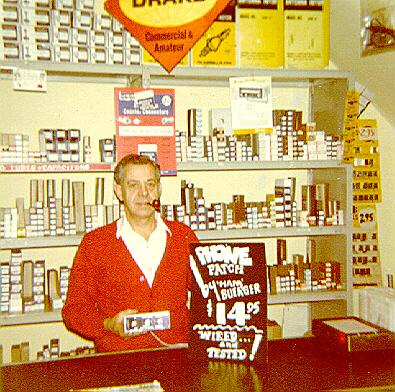 Bob ran the store there for a number of years before he moved it to it's present location on Davisville road. The 68 North York Road Willow Grove Store. John, W3GJF with a customer at Willow Grove store. 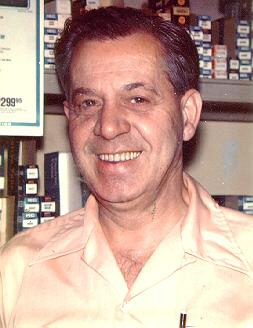 Throughout his years at Ham Buerger, John Llopes became a well respected salesman. Hams, young and old called on him for advice. 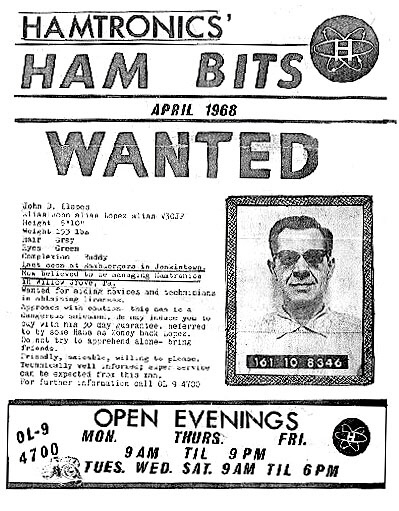 He also helped to train many young hams in electronic repair and business practices. John's sight was poor from the time he was an early adult but he did not let that stop him from becoming a successful businessman. sold. Here he is shown holding a Phone patch. Newsletter announcing John's arrival at the Wyncote store. announce his affiliation with the Hamtronics store in Willow Grove. 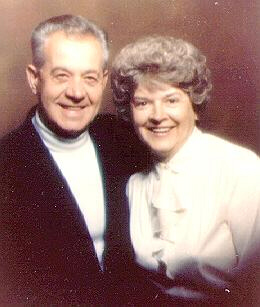 John married Doris, the bookkeeper who he met when she was hired at the Jenkintown store. 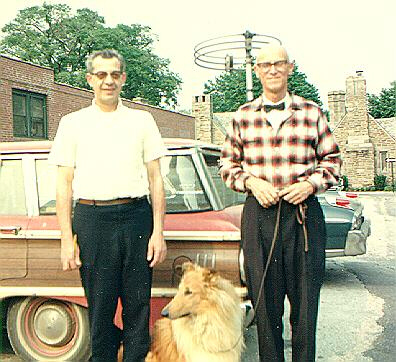 After John's retirement from Ham Buerger, he and Doris moved to Tennesee, then back to Pennsylvania, then to Florida and finally back to Tennesee. John passed away on November 26, 1997 at the age of 82. Farewell Old Buddy. You were a real role model to me. I learned so much about life and electronics from you. I certainly miss you.